Recently I joined a project where they are working on a new application that is based on the new ASP.NET cross platform tooling. While this is still in beta at the moment I write this, we strongly believe in the future of ASP.NET and the ability to run it on multiple platforms. Of course we want this project to start with everything done right from the start, so we are not only writing clean code, we also embrace the continuous delivery concepts and with that we have a strong need of continuous integration and continuous tests. This means we are writing Unit tests from day one and want those integrated in our build system. For the build we use Team Foundation Server 2015 and the new cross platform build system. The challenge I want to discuss today is that the tooling at the moment is still a lot in flux so the unit test tooling for testing cross platform solutions is not fully up to par as you are used to in the “classic” ASP.NET world on just windows. So when we want to write unit tests, we need to ensure we use a test framework that also supports running on multiple platforms. 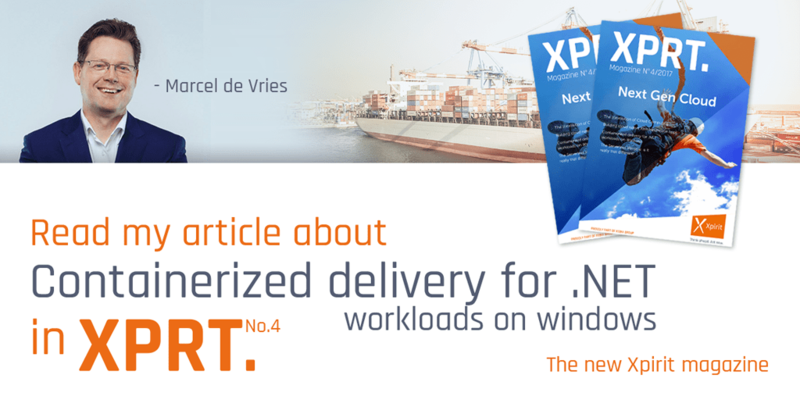 At the moment XUnit is the test tooling that is already available for DNX. 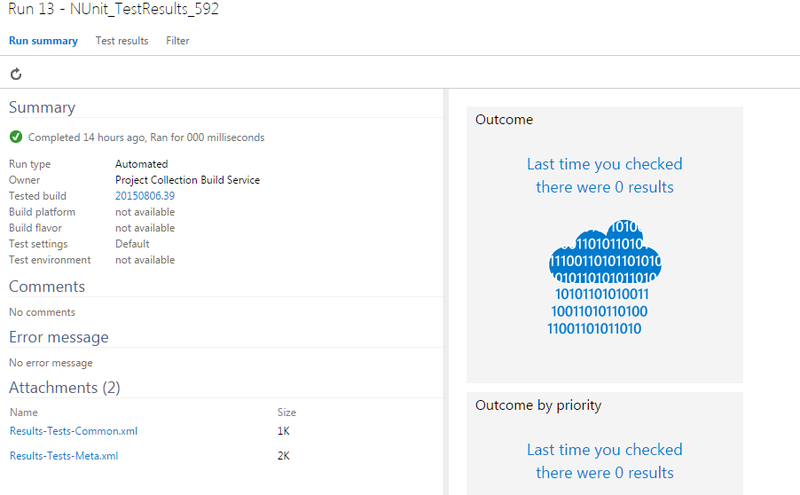 So let me describe the steps involved for making a set of unit tests and run those tests on the new build platform in TFS 2015. First we start with a class library project that is part of the new ASP.NET toolset. In the screenshot here you can see the library project you need to select. I won’t go into details about writing XUnit tests, you can read a lot more about this here (http://xunit.github.io/docs/getting-started.html) . For now I will show you the code for the class that I called “SomeTests” that contains two tests. Since we installed the DNX runner using NuGet, after a build the visual studio environment should now show your tests in the test runner automatically after you compile the project. You will now also find an xml file that contains the test results if you look in the location where you executed the command. The result file now contains the test results in the XUnit test format. This format is at the moment not recognized by TFS, they do support MS Test trx format and NUnit out of the box. So we need to do some additional work to make the results usable by TFS build. When at the TFS web page for build we create a new build definition and call it “ASP.NET VNext with XUnit”. Next we start with a build template that has the basic compile things in there. Next we add a new build step of type PowerShell script so we can set up the DNX environment like we just did, but now on the build server. Error : The Dnx Runtime package needs to be installed. See output window for more details. # bootstrap DNVM into this session. "Unable to locate global.json to determine using 'latest'"
# only installs the default (x86, clr) runtime of the framework. I also added this file to my solution items folder, so I have everything in one place. The output of the transformation is now the file called testresultstransformed.xml and that is the file we are going to upload to the TFS server. And after adding the script to the solution items folder in my solution and pushing it to the remote repo, you can select it as the PowerShell build step to run the tests. Ensure that for the PowerShell task you check the option Continue on Error, since when one of the tests fails otherwise your build will be flagged as failed and no results will be uploaded to the server which is the next task. The final thing we want to add is the task to upload the results file after a test is completed. When we configure this task we need to select which output result we want to use. Here we select NUnit, since that is the format we transformed the output to in the final step of our PowerShell script that runs the tests. We select the transformed results file and then we are done. Now we can queue a build on one of our hosted build machines or on your on premise deployed agent. so it looks like it does work. are you sure you are uploading the right file? and did you hit the refresh button on the test, since it sometimes shows stale data at the moment? It may be that you’re missing the “View Test Runs” permission. The default Build will show is that no tests were found, not that you don’t have access to them. I went through the same steps a while back, got the tests to run and got the dashboard results like Marcel — but when a test failed, I couldn’t find the results, like Albert. Took me a while of communicating with the VSO team to figure out that the transformation didn’t produce a valid NUnit file because the new XUnit output format had changed slightly. XUnit test results can now be imported directly by the Import Test Results task, so the need for this translation is no longer needed. I am trying to run our xUnit tests using the xUnit test adapter in Visual Studio Online s Build vNext platform. As stipulated in this article, we need to provide a custom test adapter path pointin. At the moment you can not provide a path outside the standard version control or build scope. since the adapter is in your dnx profile under packages you can not point to it. hence the work around using the command line using a script. This must have been fixed some time ago, as you can just enter the path manually (don’t use the file picker) and it helps to pre-fix it with $(Build.SourcesDirectory)\Path\To\Packages\ this will be transformed to the right path on disk automatically. Or by keeping the path empty, as packages restored by NuGet should automatically get searched, though this may not work for DNX solutions (yet). Thanks for posting these instructions, very helpful. When I run my tests I’m getting an error message “Could not load file or assembly ‘Microsoft.DNX.PackageManager'” – any ideas? Great post, very descriptive but I am getting confused by the names you used for your main and test projects. Is ClassLibrary1 the main project and is ClassLibrary4 the test project? In my solution I have ‘Solution Items’ folder that contains the global.json, prebuild and RunDnxTest.ps1, nxslt2.exe and NunitXml.xslt. I have two more folders in my solution, ‘src’ which holds the main project and ‘test’ folder that contains the test class library. ‘ dnx .\src\SampleProject test’ or ‘dnx .\test\SampleProject.Test test’ ? I get the Unable to resolve project error. Also to the the test results in TFS build do I need to update the following line in RunDnxText.ps1 to use the name of my test project? nxslt2.exe is actually located in the solution items folder of the solution. Could you please provide a sample project. Appreciate any help. Is there a way to run individual tests instead of all?